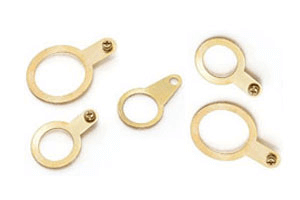 We have the proficiency in offering Earthing Tag in various shapes and in all sizes. This tags act as a means of connection or an earth bond around the cable gland. Fabricated using brass, aluminum & copper, this ensures earth continuity between the electrical equipment and to gland. It can also be coated or plated as per customer specifications.